I am so happy today, to bring you a guest post by the lovely Miss Stina. 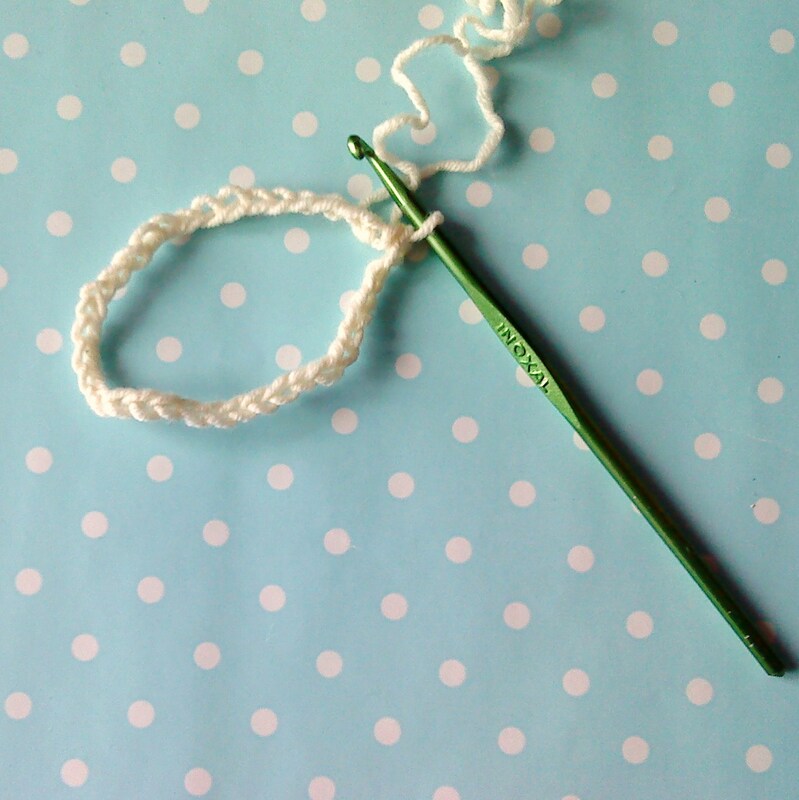 It’s inspired me to get out my crochet hooks and learn a new skill. Thanks so much! My name is Stina and I have a blog called Her Name Was Greta. Beks made a great guest post at my blog during the xmas craze, which was a total blessing, and now I got the chance to give back a little. 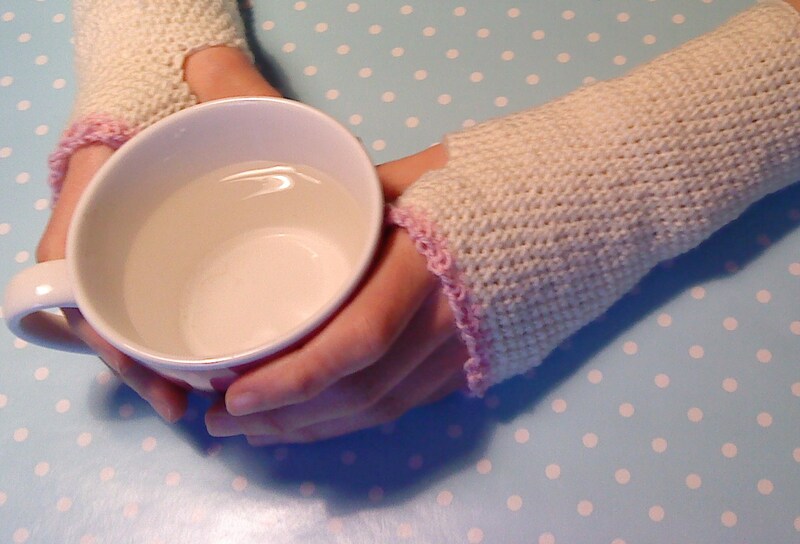 I’m very excited to be sharing my wrist warmer pattern with you, the readers of Polka-dots & Sparkles. The pattern is pretty basic and can easily be adapted to your personal taste. 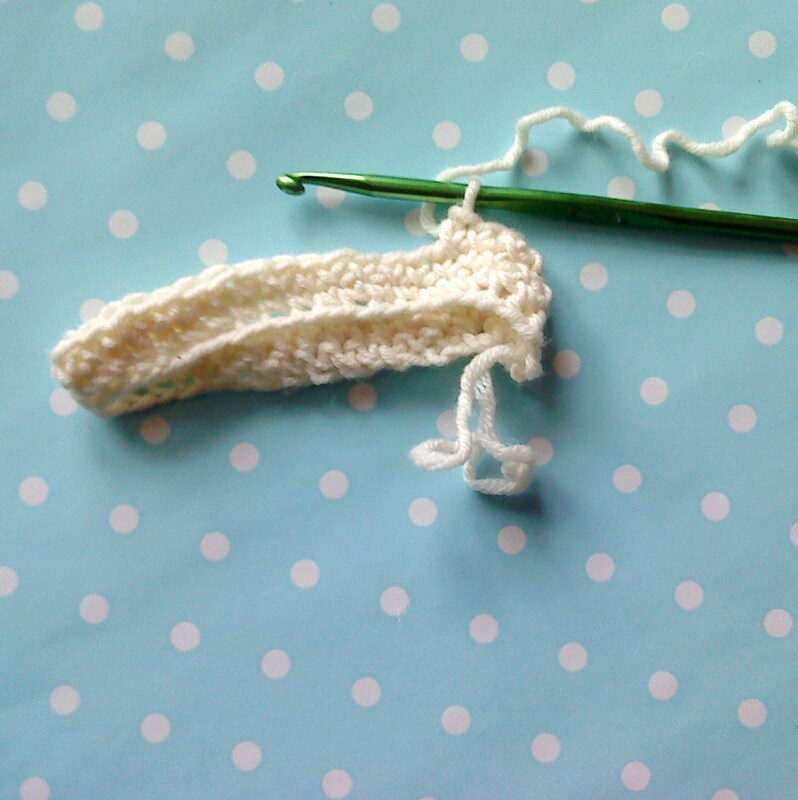 It’s not too hard to figure out if you’re a beginner and only uses two different stitches. I hope you’ll like the pattern and if you make a pair, or 20, please share links or photos! I’d love to see your take on it! Join to a ring, be careful not to twist! 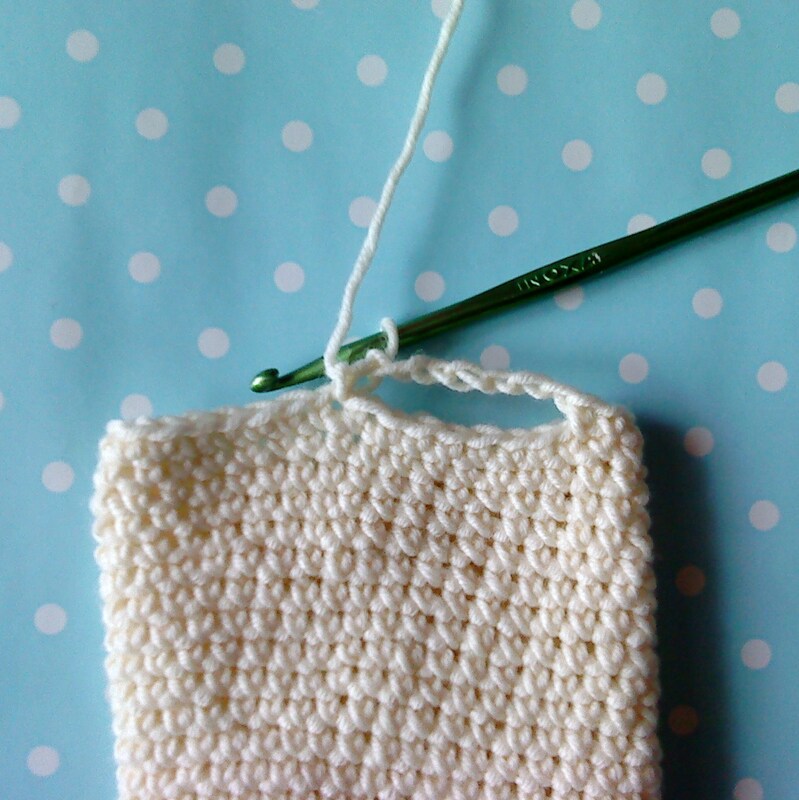 Single crochet around and around and around, until the tube is long enough to reach to your thumb. 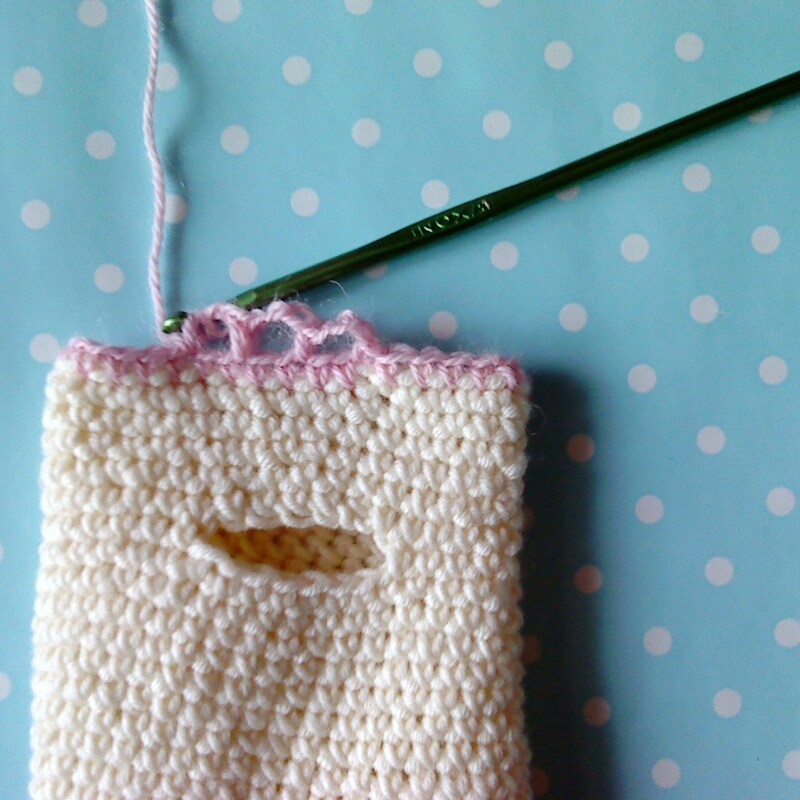 To make sure your tube is wide enough to fit your wrist comfortably, test is after a few rows. 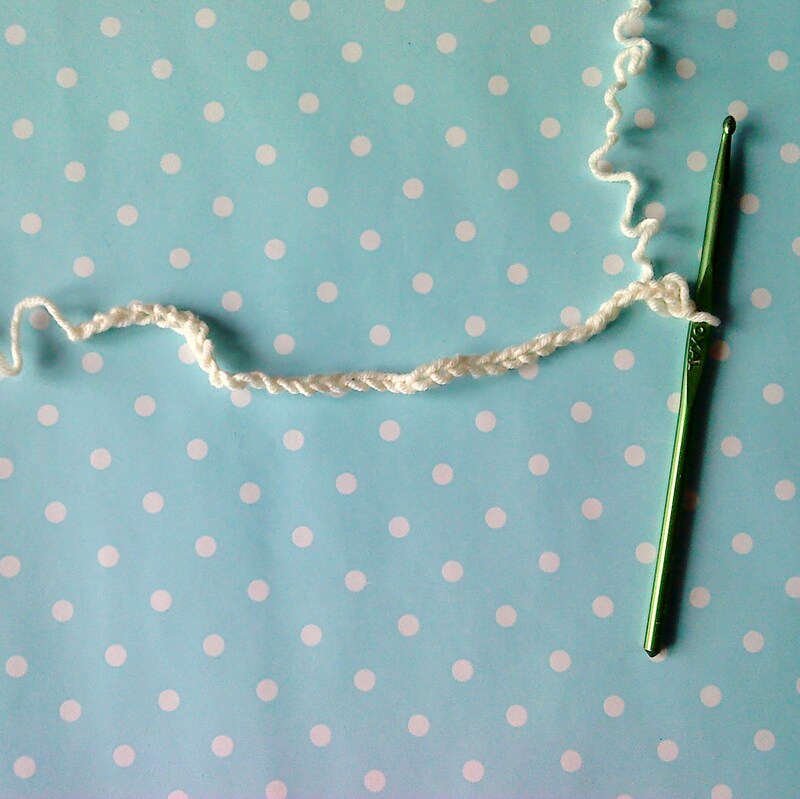 If it’s too tight, start over and chain a few more stitches, if it’s too loose, chain a few less. 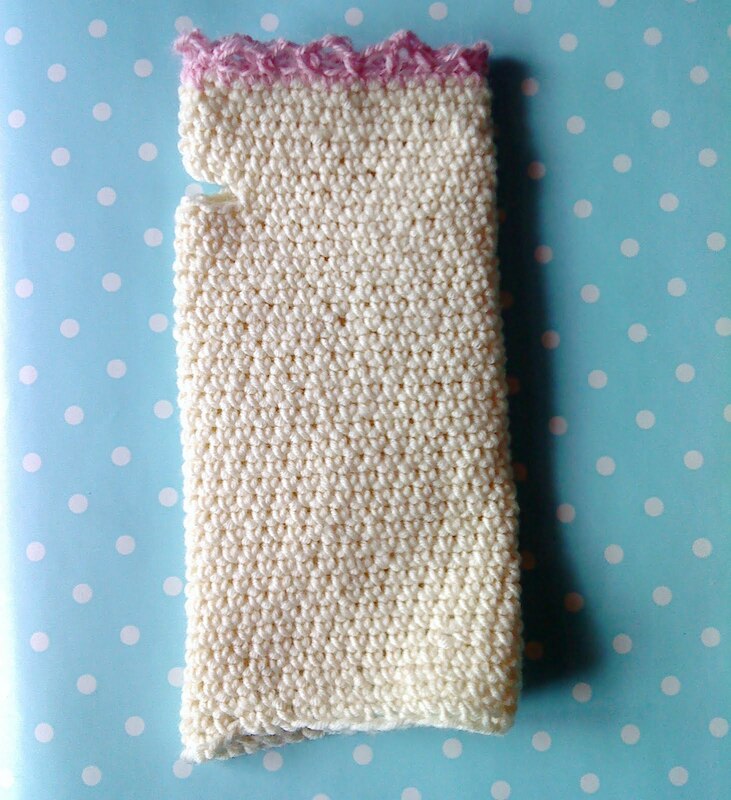 Chain 7, skip 7 stitches and continue single crochet for 6 rows. Cut the yarn and fasten. Single crochet 1 row with the scrap yarn. Chain 3, skip 1 stitch, sc 1. repeat all the way around. This is what mine look like in this fake action shot. Yes, that is water in my teacup.